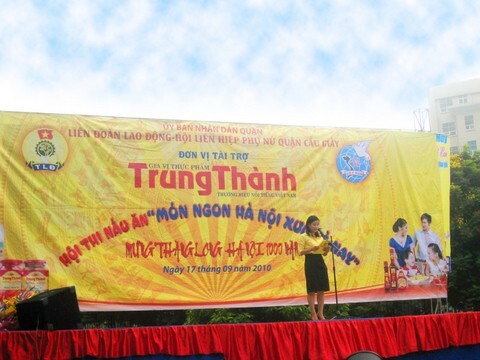 In the jubilant air of celebrating 1000 years Thang Long – Hanoi, on the morning of 17th Sep, at Nghia Do Park, the cooking contest "Ha Noi’s specialities from the past to present" was held by the Committee and Labor Union of Cau Giay Dist. 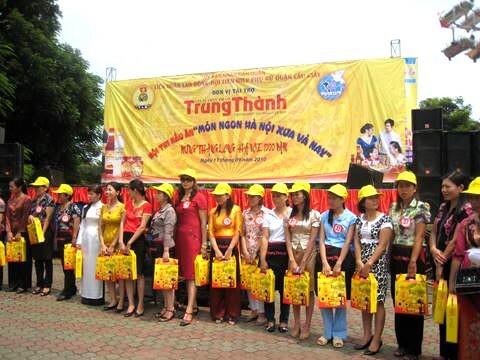 TrungThanh is honoured to be the main sponsor with 200 donated gifts for the contestants. The Cooking contest involved in the series of programs "Cuisine Culture of Thang Long – Hanoi” organized by Cau Giay District within 12 days was really interesting event for people who love and passion for the beauty of the Trang An cuisine culture. As a leading company in the spicy business in the Northern, TrungThanh would be honored to contribute to highlight the culinary essence of Vietnam as well as the beauty of Hanoi's cuisine. 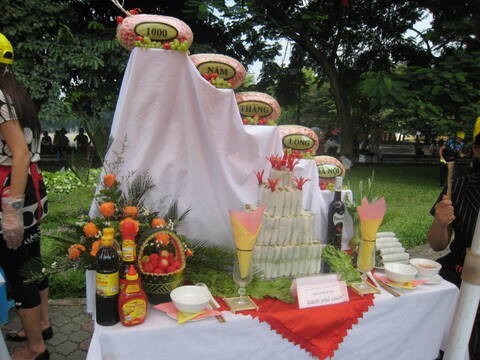 TrungThanh’s products in the contest have made those traditional dishes more spicy. 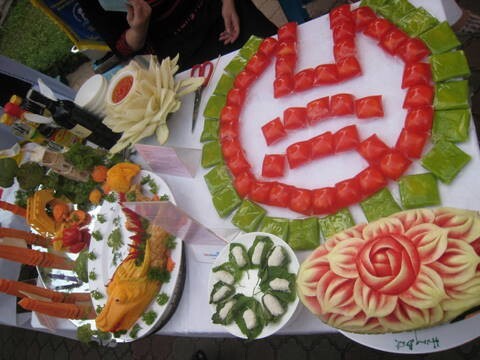 There were 40 teams from Cau Giay Dist took part in "Ha Noi’s specialities from the past to present". Those teams was so excited and the contest was actually a festival for the people in the district. Ha Noi’s specialities were displayed nicely, expressed festival spirit, highlighted features essence, the exquisite cuisine of Vietnam interior, which gave viewers many surprises and impressive.